I know this is not a market place but I have a set of 4 275/70(? 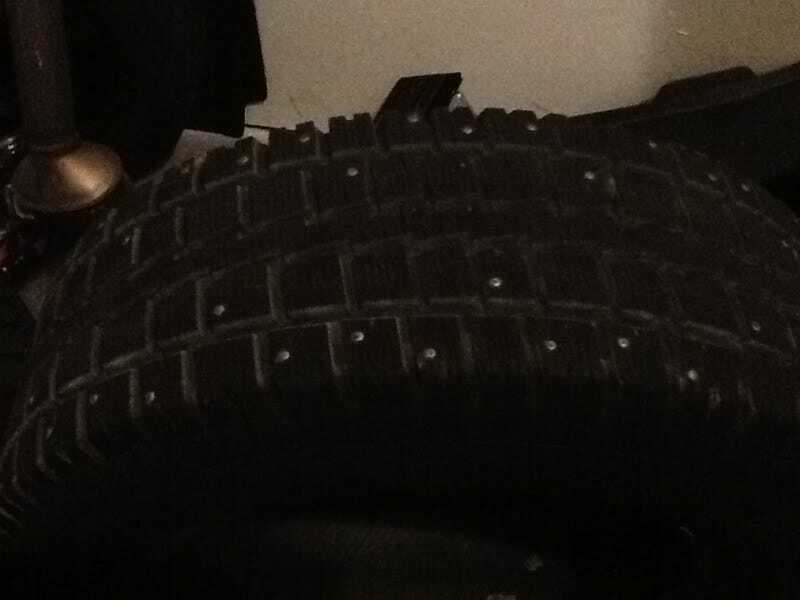 )/18 snow tires with studs That have <3000 miles on them. I pulled them off my F350 and now the truck is gone so I have no use for them. Paid about $1,300 for them new. Would be willing to make a ridiculous OPPO offer if anyone is interested. Yes I know the pics are terrible. I believe they are BFGs I can check when I get home if anyone is truly interested.